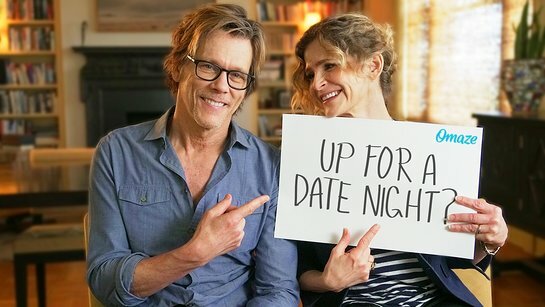 Here’s your chance to go on a double date with Kevin Bacon and Kyra Sedgwick – and all you have to do is donate to charity. omaze.com is giving you the chance to join the Hollywood power couple for a night of fun. Kevin Bacon and Kyra Sedgwick know how to plan the perfect date night. There should be dinner. And dancing. And YOU! That’s right, you and a guest (bring whoever you want!) will join Kevin and Kyra for the ultimate double date. You’ll get to know each over dinner, snap some pictures, talk movies/life/love and maybe even play Six Degrees of Kevin Bacon (we hear Kyra always wins). As for the closer? You’ll end the night cutting loose — footloose — on the dance floor. Flights and hotel included. All you have to do is visit omaze.com and donate to SixDegrees.org. The more you donate, the more chances you have to win. 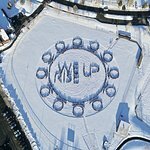 SixDegrees.org builds on the popularity of the “small world phenomenon” by enabling people to become celebrities for their own causes by donating to or raising money for local and grassroots charities. Over the years, it has grown from a celebrity experiment into a valuable and rewarding global project. Your generosity will help SixDegrees.org harness the power of connection to support grassroots nonprofits and their often overlooked social missions. To find out more about this opportunity, visit omaze.com.